For anyone whose ever scrolled through Instagram, or flipped through the pages of a glossy magazine, you have definitely seen Giovanna Battaglia Engelbert. The Italian fashion editor and style expert not only stands out as the queen of street style, but her monthly column in W Magazine and editorial work in the pages in Vogue Japan, Vogue China, Vogue Paris, and many other coveted publications, are a testament to her vast knowledge of the industry. Starting her career as a model at only seventeen, she then shifted gears working for some of fashion's biggest books. 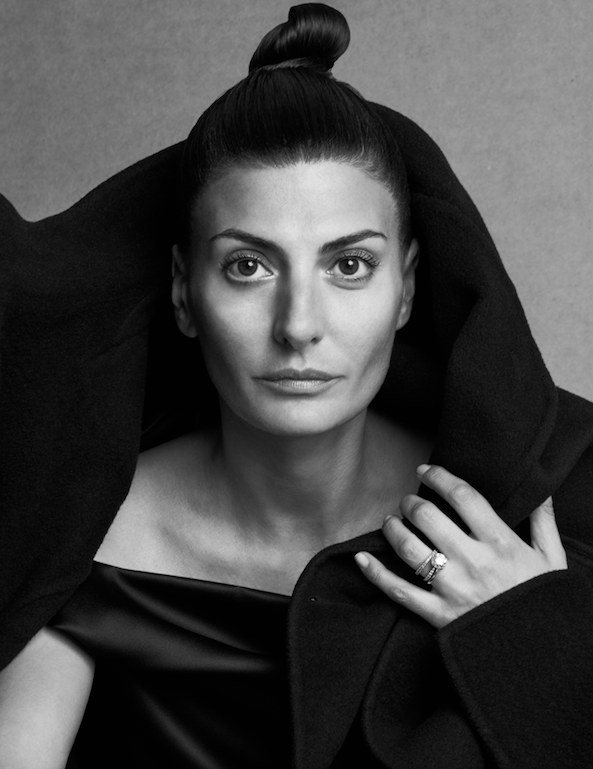 Today, aside from her editorial work, Engelbert is a Creative Director and Consultant to luxury brands on their products and imagery, making use of her wildly popular Instagram platform @bat_gio to document her playful yet elegant style, her adventures around the globe, and much more. We sat down with one of the industry's biggest icons to talk all things career, style, and of course, what it was like writing her very first book, GIO_GRAPHY. Read ahead for her one-of-a-kind insight and advice to #makingit in the business. Growing up, did you always have an interest in working in fashion? Like many, my first fashion experience was with Barbie when I was very little and from there it just kept going. You began your career in the fashion world as a model. How did you break into modeling, and how would you say this experience ultimately impacted your career? I started as a model, but I knew that was not my career. That was a way for me to get into the fashion system, which I did, and it helped me understand what fashion profession I wanted to do. How did you make the transition from model to stylist? Was it hard? For one year, I did both. I spent all the money I saved from modeling on the mistakes I made starting up as a stylist. If you could go back and tell yourself one thing before starting your career, what would it be? You have worked as an editor for major publications such as, ’Uomo Vogue, Vogue Paris, Vogue Germany and Vogue China, to name a few. What has been your favorite shoot or project to work on so far? I cannot say because every shoot has its own story. I have many favorite ones for different reasons. Vogue Japan Tokyo shoot and Moscow shoots are dear to me for the experience and beauty of the surrounding, but also of how complicated they were to produce. One of my favorite projects was working on my Bergdorf Goodman windows last year which felt like a lifetime achievement award. Also, the creative direction of The Queen Of The Night and the Barbie Issue for Vogue Italia. I’m sure no two days are ever the same, but what does a traditional day look like for you? You said it right, no two days are the same. When I’m not with clients, or shooting, or traveling, I have a pretty normal day at the office at my computer. There is no secret. Work and life balance is one of the hardest things. It took me a very long time and I’m still working on it, especially in the fashion industry, which is such a fast paced industry. Charlotte Stockdale because she told me I should be a stylist. Anna Dello Russo for giving me the first opportunity at Condè Nast. Franca Sozzani for being my mentor and guidance. Why just three? Can I choose 30? You have the most incredible style. What are some of your tips & tricks for putting an outfit together on a busy morning? The chapter “LAST MINUTE GETTING READY SURVIVAL GUIDE” in my book GIO_GRAPHY is dedicated to this. I would suggest to think about your look the night before a little bit (even though I’m not very good at it because I go with the weather). And to not try anything too new or daring, but stick with something simple and reliable. What is one item that’s currently on your wish list? 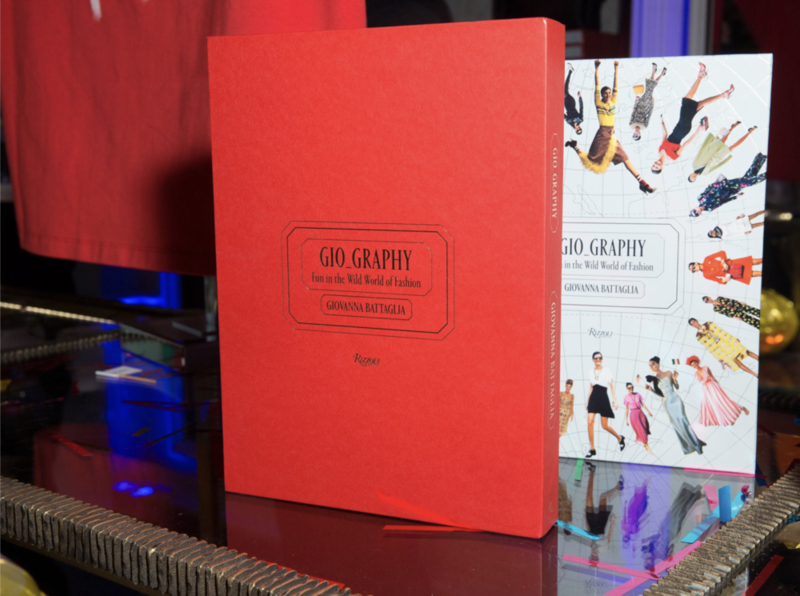 Your first book, GIO_GRAPHY, came out last fall. Was it always a dream of yours to write a book? How was the process of writing your book different than what you normally do in the editorial world? It’s a totally different process. I always thought about a book, but didn’t want something traditional. I was thinking about doing something along the lines of Gio’s Journal that I did for W, so when Rizzoli approached me, it was the perfect idea and worked very naturally. The book turned into my visual diary. I enjoyed so much making this book. When you shoot for editorial or consult for a brand, you have to think about the season or the client, but this book had to be something more timeless and personal. I had a lot of fun doing it but it was A LOT of work. You’ve done so much as an editor, stylist and now, author. What would you say is next in your career? Stay tuned... I’m working on it. What advice would you give to young women hoping to one-day follow in your footsteps? It’s not just going to shows and putting on pretty clothes. That’s only the tip of the iceberg. I would tell them to measure how really passionate they are about fashion because it’s going to be way harder and more intense than they think it is. So prepare for a wild ride! Of course, that’s my point of view. When I do things, I go all in. Fashion is not something you can do medium rare.